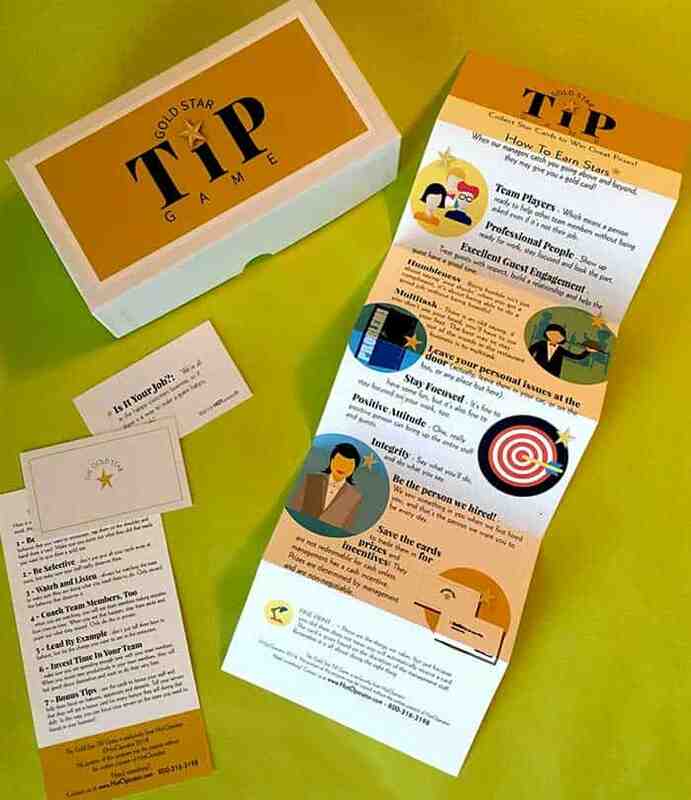 Include the HotOperator® Gold Star TIP Game for both front-of-the-house and back-of-the-house in your training program. Use theGold Star TIP Game to motivate your staff and get them focused on getting you better results with happier guests, higher social media rankings and richer profits. It’s fun, it’s interactive with manager and waitstaff. HotOperator created the Gold Star Tip Game because your restaurant staff loves to play games. Young and old alike are more motivated when there is an incentive for them to get better at their jobs. That’s why we developed a server training game, HotOperator Gold Star TIP Game. It’s easy to use and effective, the Gold Star Tip Game will motivate your staff. Each Gold Star Tip Card has a training tip (idea, advice or pointer) that will help your staff stay focused on what’s important for working in a great restaurant. 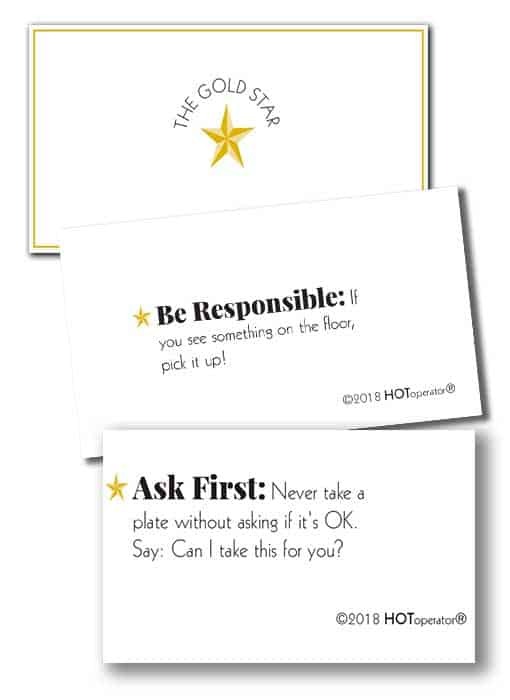 The HotOperator Gold Star Tip Game includes instructions for your managers so they understand what to do on the job. Your role is to introduce the game to your managers and staff, so your managers focus on rewarding the correct behavior in their workers. The HotOperator Gold Star TIP Game is the best way to get everyone to focused on making your restaurant a 5-Star winner!